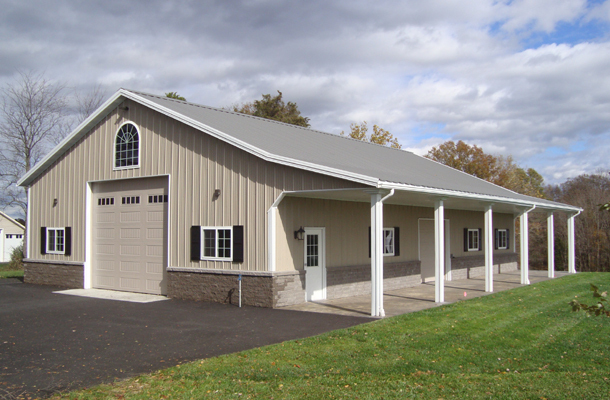 From our strong rigid frames to our galvanized secondaries, our custom engineered steel building systems are designed for greater flexibility, lower costs, faster occupancy, maintenance free and enduring quality. Lester Buildings has been a trusted source for high performance buildings since 1947. Today, “Lester” is synonymous with top quality and functionality – at an affordable price. We provide maximum value for your investment. All manufactured items are made per order, true to the plan. To ensure accuracy, we use controlled systems for cutting, assembly, packaging and construction. We keep our machinery safe and efficient with continual investments in modern technology. A dedicated team, from sales people and drafters to project managers and drivers, backs every project. And we employ certified engineers to provide stamped drawings, when requested. Plus, you can trust we’ll be here for service after the sale, if needed. Lester provides a highly designed and manufactured framing package to speed up construction, minimize errors and reduce waste. Many components are precut. Some components are fabricated with holes and notches to aid in placement and fastener installation. These specialized components allow rapid, accurate construction of a Lester building. Our color-coding system simplifies locating parts, and it ensures that builders use the correct grade of material for each end purpose.